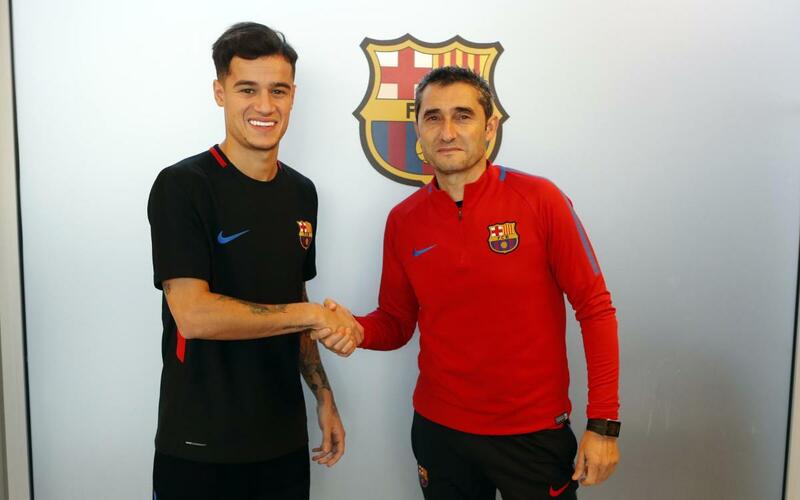 Philippe Coutinho has made his first contact with the Ciutat Esportiva Joan Gamperas a member of the Barça first team squad. The day after being officially presented to the fans and media, the Brazilian was out on the training ground as he works on recovery from a thigh injury that will delay his chance to make his debut by some twenty days. Among the players the 25-year-old was able to greet on Tuesday morning were his former Liverpool team-mate Luis Suárez and a man he knows well from international duty for his country, Paulinho. Ernesto Valverde also took the latest addition of his new squad aside for a quick chat, and the duo posed for the cameras.